Very rarely do few lucky aircrew get to experience something off-beat. For India Aviation 2014, Air India’s second newest Boeing 787-837, MSN 36279, registered VT-ANB, had to be positioned at Hyderabad Begumpet (ICAO: VOHY) from Hyderabad Shamshabad (ICAO: VOHS) on 11th March 2014. Below is the short hop, described. 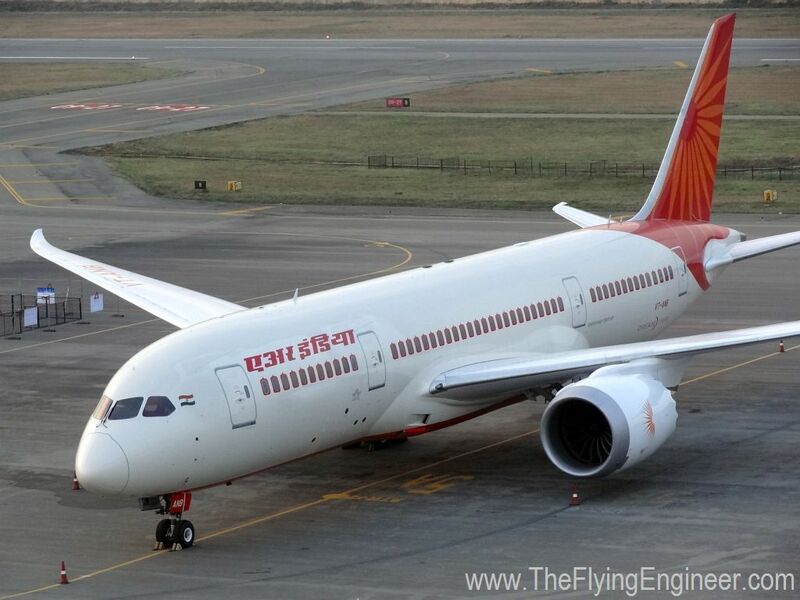 VT-ANB operated as Air India AI 555, a revenue flight from Delhi (VIDP) to Hyderabad (VOHS), with the Civil Aviation Minister Ajit Singh and the Chairman and Managing Director (CMD) of the airline, Rohit Nandan on board. In total, 115 passengers and 11 crew flew on ANB to Hyderabad. After landing, ANB was towed from bay 54 to 58, for “deep cleaning”. The aircraft was delivered to the airline on 31st January 2014, and the one month of use needed to be cleaned out. After spending 01:35 (1hr 35 min) on ground, VT-ANB was ready to fly to VOHY with the same flight deck crew, but with just one cabin crew, raising the total persons on board to 3. The aircraft had fuel from the previous sector in its tanks: a massive 12.2 tonnes. The aircraft had a take off weight of just 127 tonnes, against 227.9 tonnes maximum take off weight. The crew pushed back from bay 58 at 14:10UTC (19:40 local), and taxied to the runway in use: 09R. The CG (Centre of Gravity) of the aircraft was at 19.1% MAC (mean Aerodynamic Chord), and the trim was set to 4.75 units. Flaps were extended to 5 degrees, and for the purposes of setting thrust, an assumed temperature of 42 degrees C and a derate of 83% was applied. The FMS was left as a flight plan discontinuity, as radar vectors were expected to VOHY. The crew lined up on 09R, and applied take off power. The FMA (Flight Mode Annunciators) read TOGA-TOGA, and no VNAV and LNAV. At 133 knots, which was the Vr (rotate speed), the pilot flying gently pulled back on the control column, and at 14:29 UTC (19:59 local), VT-ANB was airborne. Autopilot was engaged at 300ft RA (Radio Altimeter), and the aircraft maintained runway heading for about 2NM (nautical miles), before receiving radar vectors. VOHS is at an elevation of 2,000ft, and VT-ANB was climbed to 4,600ft. The aircraft was further vectored left by ATC, and asked if the crew could accept an ILS runway 27 approach for VOHY. The original plan was for a VORDME 09 approach into VOHY, but the crew confirmed their ability to fly into runway 27. VT-ANB was made to descend to 3,600ft, and at 10NM from touchdown, intercepted the localiser for runway 27 VOHY. Autopilot was disconnected at 1,100ft RA. Flaps were taken in steps to 30 degrees, the approach speed maintained at 133kts, and autobrakes set to level 3. The Boeing 787 touched down at 14:40 UTC (20:10 local), and felt extremely light when flaring. 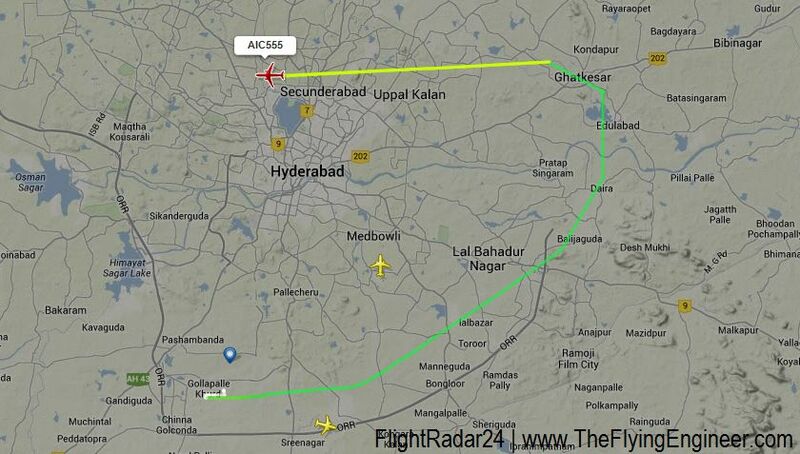 Reversers were deployed, and the aircraft slowed down, making a 180 degree turn at the end of runway 27 to backtrack towards taxiway “A”, as directed by Begumpet tower. VT-ANB took a graceful right turn at 3-4kts taxi speed onto taxiway A, where it was welcomed with a water canon salute. Continuing its taxi, the Dreamliner turned right onto the Apron, where she was marshaled to her parking stand,. Parking brakes were applied at 14:50 UTC (20:20 local), and the short hop had consumed 1.3 tonnes of aviation turbine fuel (ATF).